Classic Car Radios are our business. Our large selection of classic radios marry together modern technology with the classic styling of your original radio. 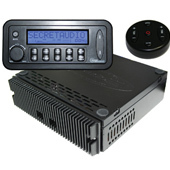 We offer Custom Autosound Radios that will fit into your original dash location without any cutting or modifying. The USA-230 in an AM/FM radio with an auxiliary input. 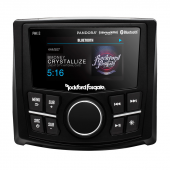 The USA-630 has all of the features of the USA-230, but also adds a USB port, the ability to add Bluetooth, and the ability to add an external CD player. 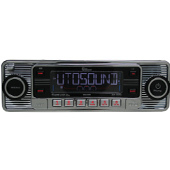 The USA-740 has Bluetooth built in, it has an AM/FM tuner, aux input, USB, you can add a CD player, and it has a subwoofer pre-out that the USA-230 and USA-630 do not have. In addition, the USA-740 allows you to change the color of the LCD display between 7 different pre-set color options. We also carry Antique Automobile Radios which all come with Bluetooth buit in. AAR has continued to lead the way with full-feature OE replica radios that give you the features you want and a look that can fool judges. No need to sacrifice the 100% stock look in order to get Bluetooth anymore! We have an extremely knowledgable staff that can walk you through all the features of each radio to ensure you get the perfect classic car radio!